Which essential oil brand is the best? Where can you get the best product? What are the best essential oil brands and companies? You might have asked these questions at some point if you fancy essential oils. Perhaps you are being overwhelmed by the presence of multiple brands. The above questions are some of the key questions you should ask before purchasing any essential oil brand. All essential oil companies are different. No one is the same as the other in few ways at least including differences in company ethics, product quality, and standard of production. Other areas include brand price, and product selection plus numerous known essential oils. Now we want to distinguish the different essential oil brands and companies to make it much easier for you to get the best brand and company to buy from. There are a number of points you should look out for while choosing an essential oil brand and company to buy from. 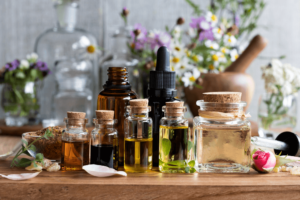 Some of these signs to watch out for in essential oil brands include, FDA regulation, use of specific product terms, and products bearing more than one name to name a few. Companies who are not under FDA regulation makes it difficult for you to compare two or more products. However, while some brands encourage internal use of their essential oil through advertisement, other producers warn against it. All the confusion this situation can bring leads to this question: Is it healthy for users to consume essential oil? It is important to take some time to understand the actual contents of any essential oil brand before proceeding to make your purchase. By doing this, you are putting your family’s and your own well-being into consideration. Before making any decisions here, you have to be fully convinced. This content is basically a review of the best essential oil brands and companies for the purpose of informing you when it comes to purchasing essential oils. This is purely for information purposes. To come up with this review, we had to thoroughly conduct research on the various essential oil brands, and we arrived at some of the best brands that may be trusted. This is one of the essential oil brands that has gained popularity in U. S market for over two decades. This company kicked off operations in 1993 as a well-established multi-level marketing company. Now Young Living Company can be found everywhere around the globe. They also operate their own therapeutic grade control system, which manages their harvesting processes, oversees the cultivation of the contents of the oil and the distillation of their products. The Thieves essential oil may be one of the best products ever made by the Young Living Company. Some of the contents of the Thieves essential oil include clove, lemon, rosemary, cinnamon bark, and eucalyptus. This essential oil allegedly has some health benefits, which include building your immune system, antiseptic uses, and anti-cavity treatment. The oil may also be used domestically in your home cleaning. The Plant Therapy Essential Oil Company markets products that don’t require membership to sell. According to the company, all their essential oil products have been tested for purity confirmation by third parties. The original product test results are allegedly available to the public on Plant Therapy’s website. This company claims to make products that offer the appropriate therapeutic uses for essential oil lovers. Plant Therapy may have an advantage over other essential oil companies because the majority of their oils are inexpensive and organic. The Plant Therapy Organic Essential Oil Set is allegedly top six USDA-Certified Organic and maybe 100% pure. If you have given it a try, you will go for the fractionated coconut oil from Plant Therapy. This oil does not only have quality but quantity as well. dōTERRA is a multi-level essential oil marketing company. But don’t be discouraged, you can enjoy their products and essential oils. Some of their founders gained experience from Young Living, another essential oil company before they produced their own therapeutic grade protocol to maintain the purity of each of their products. The company claims that it markets essential oils that may be suitable for every household because of the nice scents and aromas that allegedly relieves stress and helps to soothe a wounded mind. The dōTERRA Lavender Essential Oil may be the ideal brand for every household due to its scent, which relieves stress. The makers claim that the oil helps to soothe wounded minds and may work effectively against insect bites. Diffusing this lavender essential oil before bedtime may also induce relaxation and keep you calm. Edens Garden is a top company that has been selling essential oils for over 9 years. The company provides essential oils that may give consumers the best freshness and quality possible. Edens Garden essential oils are stored in a room that is temperature sensitive and has minimal lighting to make sure the alleged therapeutic features of the essential oil is not compromised. Established in 2009 at San Clemente, CA, the CEO of the company says that her dream before launching the company was “to create a business that is capable of valuing people over making a profit. She wanted a business that dealt honestly while also offering access to the many allegedly beneficial essential oils on their roaster. This, in essence, means that Edens Garden may offer users affordable essential oils. Aura Cacia is a top essential oil company provider behind the production and packaging of essential oils that are a unique blend of flavors and therapeutic properties. The company operates in a co-op structure instead of as a corporation. This, in essence, means that the leadership input of the company is based on all their member’s ideas, values, and desires. Established as far back as 1976 in eastern Iowa, they had launched the bottling of essential oils by 1979 following requests from stores. Aura Cacia’s Discover Essential Oils Kit is poured into glass bottles before being packaged and stored in a room with minimal light exposure which makes sure that light doesn’t disrupt the integrity of the oils and its individual properties. It appears that the essential oils produced by the company may be 100% pure. They may probably not contain any additional bases, additives or fillers. While not all the essential oils produced by Aura Cacia are certified organic, the company actually has some certified organic essential oils in their list. If you are someone who prefers going organic, then it is essential that you shop for the specific Aura Cacia essential oil that is “certified organic” on the label. The Rocky Mountain Oils is an essential oil production company based in Orem, Utah. This company has been in the business since 2004. They are one of the leading essential oil brands. Rocky Mountain Oils makes essential oils that may help to provide nice aromas plus health benefits. This company offers a full GC/MS test from independent third parties. Additionally, Rocky Mountain Oils may offer its customers near perfect customer service. They produce and package their products based on their proprietary model tagged S.A.A.F.E Promise, which is the acronym for Satisfaction, Authentic, Analysis, Free of Adulterants, Effective and Pure. The Rocky Mountain Single Essential Oil Kit is one of the many essential oils made Rocky Mountain. It has a lavender fragrance, plus Lemon, Tea Tree, and Peppermint. This essential oil is fresh with highly potent odors. You can simply diffuse it before use. This essential oil is one of a few ones to be GC/MS verified as a pure organic therapeutic essential oil. The Mountain Rose Herbs Company is a top essential oils producer dedicated to everything that is organic in nature. This essential oil company says it strives to sell some of the finest quality essential oils. It appears that this company may have been in the business of selling organic products for many years now. The company claims that its sustainability principle is based on the Zero Waste Certification to Energy Efficiency operations initiative that typically helps to check their carbon footprint. The Mountain Rose Herbs Company also holds a few awards and certifications relating to their product sourcing, such as the non-GMO project certifications, and the 2013 Best Green Business. Overall, the company may have been making a few awesome commitments to make their products better. Particularly green business practices making it generally acceptable to all. The Mountain Rose Herbs Peppermint Essential Oil is made fresh and very minty, with herbaceous, and a vegetative back note. The oil has a number of culinary and pharmaceutical applications. It may have been used for many years now as a therapeutic solution for soothing the digestive system. This essential oil may be one of the major Mountain Rose Herbs essential oils out there. NOW Food’s is an essential oil company and one of the major products on the NOW Solutions brand. Essential oils produced by NOW offer a comprehensive organic product line-up that may probably be of considerable quality. As a company, NOW manufactures and distributes no less than 1,400 natural foods, personal care products, and dietary supplements. NOW Food’s also runs an in-house facility or laboratory. The company uses third-party testing when necessary alone. They claim to put their essential oils through the Gas Chromatography testing phase and Infrared Spectrometry. A range of the company’s assortment is USDA certified natural essential oils. Their oils are allegedly natural and maybe 100% pure. One of their jasmine blends is labeled as a synthetic option, but it is one of their assortments. Although a synthetic option for essential oils, the jasmine blend is believed to work for soothing practices. The Now Food’s Organic Oil is an essential oil made by NOW Foods. This product has a distinctly fresh, and sweet orange peel smell. This essential oil is believed to provide refreshing, invigorating and uplifting benefits according to the manufacturer of the product. This product is certified organic and blends in well with vanilla oil. This oil is also believed to offer numerous health and therapeutic benefits to users. Our choice for the best essential oil brands and companies include Now Food’s and Now Food’s Organic Essential Oil. Their oils are allegedly natural and maybe 100% purely organic. The Now Food’s Organic Essential Oil may be one of the best organic blends of essential oils that can suit your needs when it comes to therapeutic oils. The above mentioned and highlighted essential oil brands and companies are our picks for the best essential oil brands out there. If you are a fan of essential oils, you have to ensure that you protect yourself and your household by only using essential oils as instructed. You need to make your purchases from responsible and popular essential oil companies. The picks in this review, though purely for information purposes may also assist you in your search. Doing this may give you the assurance that you will get some of the most suitable products with no trace of confusion each time you are looking to buy an essential oil. It is paramount to note that while some people would prefer to use the pure, undiluted essential oil, others who have sensitive skin may have to dilute it before use. The reason for this is that you can react badly to the essential oil if applied raw when you have sensitive skin. Hence, you should always dilute your essential oil before external use.